Well I can never seem to pass up a Runway inspired challenge. 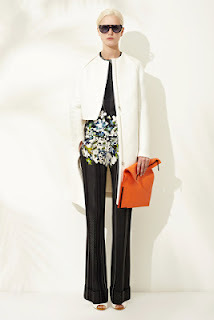 My card is below and the inspiration design by Phillip Lim is below that. I've used the Hero Arts August sketch and colours from the design. 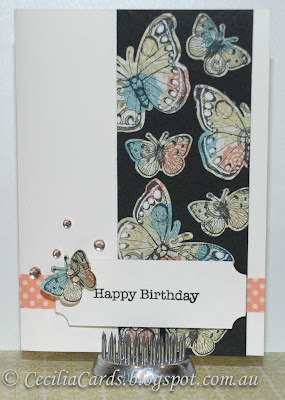 I'm also submitting this card to Moxie Fab World repetition challenge. Thanks for dropping by! Ooh, I just love the way the butterflies on black references the inspiration. Nice work, Cecilia! Such a gorgeous card. I love the movement of the butterflies! Thanks for joining us on the Runway!